Monique Fay the healer, the artist, traveler in the psyche invites you, the viewer, to share her journey and to make it your own. Some 34 years in the making, in this epic work, artist Monique Fay presents us with a photographic autobiography of a spiritual journey into life’s inner spaces, a journal derived from her own challenges. 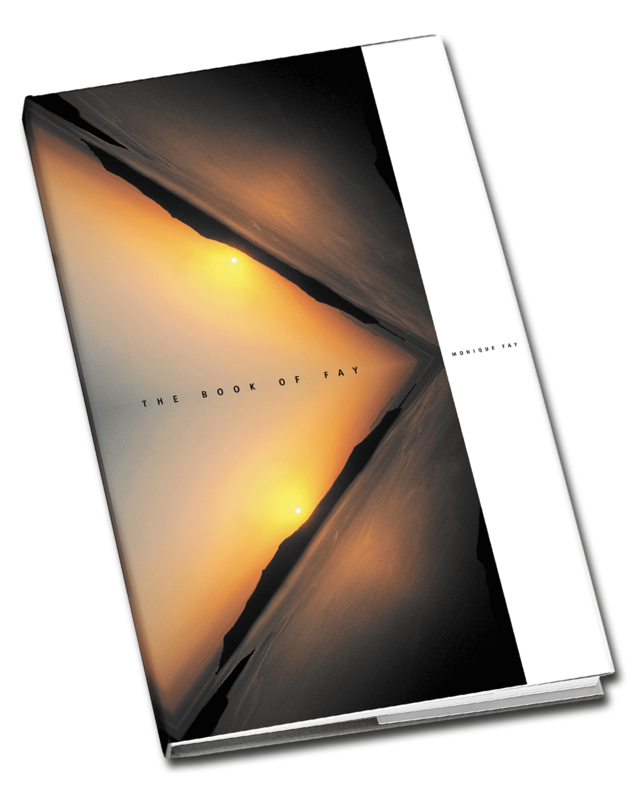 The Book of Fay is essentially an interactive experience, not only a dialogue with the artist as she shares what she sees, but also an invitation to react internally to what we see. The Odyssey of the key images compiled in The Book of Fay , began in the summer of 1974 when in a revealing dream Monique saw how to take photographs of nature and consequently assemble them on the blueprint of universal designs or sacred geometry, traditionally used to activate personal and spiritual growth. Following a long and arduous journey, 39 key images were created over the next three decades. Her photographic work first came to light with an exhibition at The Photographer’s Gallery in London in 1976, followed by a series of exhibits in England and in France. Shortly after moving to the United States her work was commissioned as part of an international Art Forum celebrating the 1984 Los Angeles Olympic games. The advent of digital photography accelerated the development of her healing art and allowed her to realize and present her images in their current form. Monique has continued to show her work in solo and group shows over the past thirty years and has been collected by high profile individuals from around the globe.